The Ver Valley is a really special habitat for wildlife. We have the globally rare chalk stream, a great deal of rough grassland, water meadow, small reed beds, many good hedgerows and woodland. Although the periodic low flows are not good for many species the farmland along the river is now becoming much more “wildlife friendly” as the Countryside Management Scheme and the previous “set aside ” schemes take effect. The river itself supports good numbers of kingfisher, heron, coot, moorhen and little grebe. Herons breed very early and are often sitting on eggs in February and they have had a breeding colony on the islands of Verulam Lake with up to 15 nests most years. You can get really good views of the herons on their nests from the banks of the lake and you can see them flying up the valley to catch fish and frogs. They also feed on small mammals which is why you can often see them standing in arable fields. In recent years the beautiful little egret with its pure white plumage has also been seen along the river most winters. Kingfishers are the star river bird for most people but all too often all you see is a flash of electric blue as they fly away low over the water. The stretch of river just upstream from Park Street is one of the best places to see them where they perch on the overhanging branches of the riverside trees. You need to stand still and just watch from a distance. The wait is well worth it if you see one dive and catch a minnow. The beautiful grey wagtail with its yellow and grey is an all year resident and breeds most years, often nesting under one or other of the bridges. Reed buntings, yellow hammers, linnets and skylarks which have all decreased alarmingly over the last 20 years are all recovering in numbers in recent years. Skylarks in the fields along the river are a wonderful accompaniment to the Ver but the warblers arriving in spring is the sound we wait for all winter long for. Reed and sedge warblers are regular breeders wherever there are reeds along the banks but the reeling song of the grasshopper warbler is now rarely heard and only as a few individuals pass through to breed elsewhere. Other warblers such as whitethroat, black cap and garden warbler all breed regularly and the best time to see and hear them is in the early spring. The chiffchaff is one of the earliest arrivals in spring but it is the near look-alike willow warbler which has the classic song of summer with its declining ending. Grey partridges are seen fairly often but have not recovered as well as other farmland species. Nowadays the red legged partridge is seen far more than the native grey partridge. Other summer visitors which breed are the swallow and the house martin. There is a good breeding colony of house martins near Shafford which is also a good place to see and hear cuckoos who arrive late and leave early leaving their hosts to bring up their young. 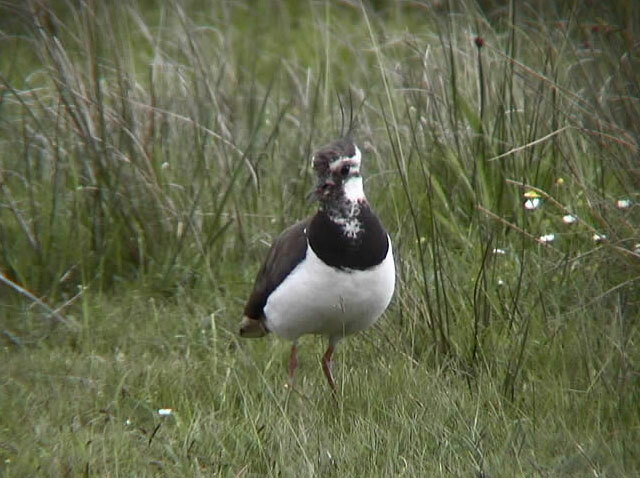 The most numerous wader in the Ver Valley is the lapwing but sadly the numbers in recent years are well down on the past and only a very few pairs still breed. Golden plovers are often seen on passage and in the winter in good numbers but nowadays they seldom stay long. Snipe benefit from the relative frost free fringes of the chalk stream but this previous breeder is now only a winter visitor. When the river flooded in 2001 we had the best recent year for waders with lapwing and little ringed plovers breeding very successfully and redshanks, greenshank, common sandpipers, green sandpipers and even a small group of dunlin all being recorded. In winter duck numbers can build up. 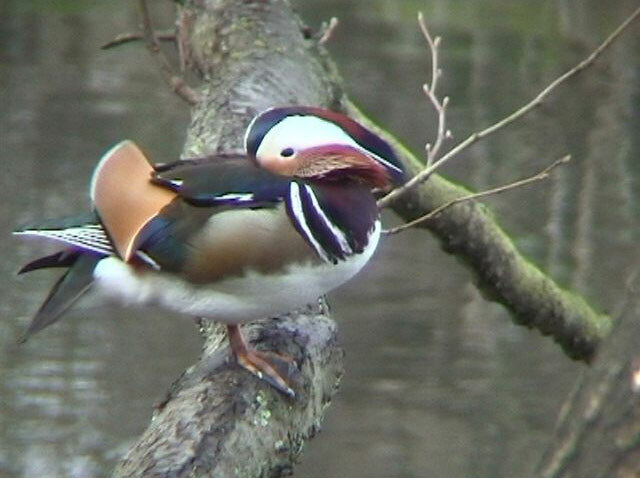 In Verulam Park apart from the mallards and Canada geese you can usually see gadwall, pochard, shovelor and tufted duck and occasionally ruddy duck and even mandarin. Great crested grebes breed at the lake and probably on the gravel pits around Park street. Look out for their courtship rituals in early spring. Another good place to see ducks is just south of Redbournbury Mill where gadwall, teal and mallard gather in good numbers providing the water level is good. Widgeon, shovelor and even pintail have been recorded and this is the prime area for the little grebe or dabchick. Birds of prey are the real winners of recent years probably mainly as a result of less persecution. 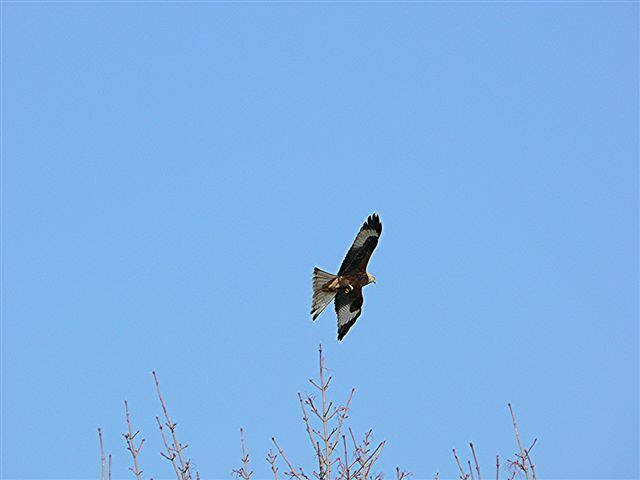 Buzzards are now a regular breeding species and you can often see as many as six birds on a walk north of St. Albans through Gorhambury to Shafford. Also red kites which until recently were just an occasional visitor from their release area in Chilterns are now seen most days and it is likely that they are breeding in woods along the valley. Sparrowhawks and kestrels continue to do well and most years hobbies are seen in late summer and probably breed some years. Peregrines have been seen occasionally and a marsh harrier was reported in 2001. 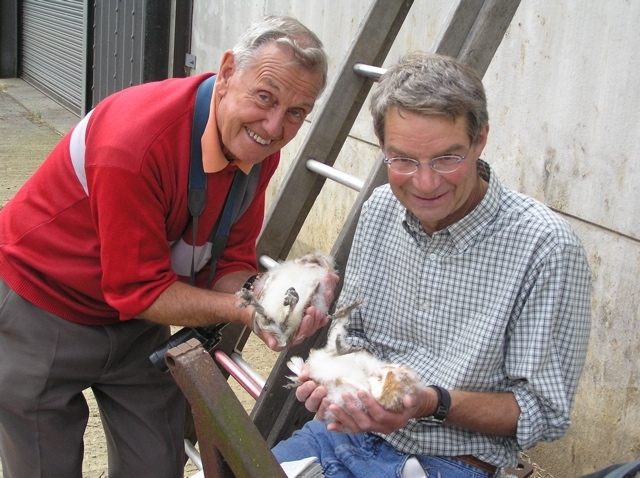 Barn Owls raised five young in a Ver Valley Society sponsored nest box in 2006 and they do hunt over the rough grassland in the valley but are seldom seen. Tawny owls which are almost totally nocturnal are seen even less but are heard calling as dusk gathers and through the night. Little owls have not done so well and are not seen as much as in the late 90’s. 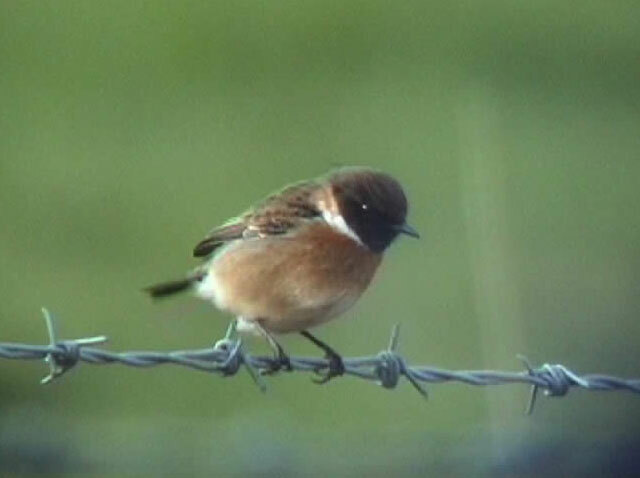 Stonechats often over winter along the Ver and whinchats which are summer visitors to the UK can be seen on passage to their breeding areas further north. Rabbits are the most numerous large mammal but the star mammal of the valley is the hare. They are best seen in the early spring when they are pairing up and doing what mad March hares do. Although hares are mainly nocturnal they can be quite active in the daylight hours. Foxes are regularly seen but badgers, being nocturnal, are seldom observed, though evidence of their setts is very apparent. Stoats and weasels are definitely present. The only deer species seen on a regular basis is the muntjac which is only about the size of a labrador dog and is an introduced species. Our muntjacs are almost certainly descended from escapes from Woburn. The saddest aspect concerning mammals is the virtually complete demise of “Ratty” the water vole along the Ver. They were always being seen until the early 80’s but have suffered mainly from predation by the mink which escaped from fur farms. Measures are now being taken to catch and eliminate mink and the Ver Valley Society has sponsored mink traps which are set up by the Water Vole Officer of the Herts and Middlesex Wildlife Trust. If mink can be controlled it is hoped that the wonderful water vole can be reintroduced to the Ver from captive bred animals but while mink remain the water vole stands no chance. This is the problem when a non native predatory species is introduced. Another introduced species, albeit probably accidentally, is the American signal red crayfish. This species carries a virus which is fatal for our native white crayfish and now the only crayfish in the Ver are the non native species. They breed prolifically and are caught in huge numbers by the Verulam Angling Club at their fishing lake alongside the Ver. Butterflies such as orange tips, brimstone, peacock, small tortoiseshell, comma and peacock are seen each summer. Dragonflies are numerous each summer but the species which are an indicator of good clear water are the banded demoiselle which are seem mainly downstream from Shafford. Fish species are most diverse towards the confluence with the Colne. Brown trout which need clear pure water and clean gravel beds for breeding are present again. Other species are roach, perch, chub and pike. Smaller fish are minnows, sticklebacks and bullheads.